A revolution in the way children are educated in the north-east could be on the cards as councillors consider part-time schooling. 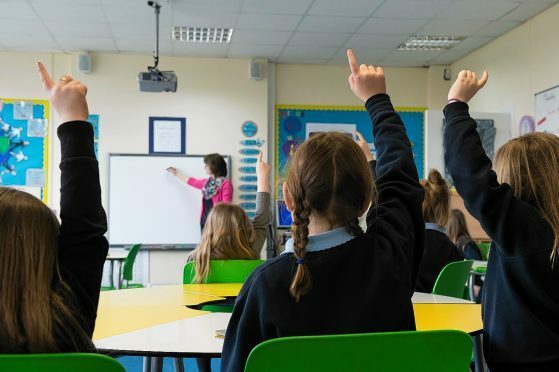 The introduction of so-called “flexi-schooling” will be up for debate on Thursday at a meeting of Aberdeenshire Council’s education and children’s services committee. It comes after some parents in the region called for it to be made a possibility for children across the region. The step would allow parents to limit the number of days their children spend in school and combine class-based lessons with alternative provision such as outdoor learning or home schooling. North Kincardine councillor Alison Evison prompted the authority to debate the issue after being approached by “several parents” in the Kincardine and Mearns area who wanted the option of flexi-schooling their children. She said that though the option would be a “radical departure” from traditional schooling, it was one that merited consideration of both the potential benefits and disadvantages. Perceived advantages include the freedom of parents to spend more time with their children and providing children with the opportunity to learn more in-depth than they might at school, with more out-of-school trips and individual adult attention. Opponents, however, warn the system can lead to resentment from peers who do not have to attend school five days a week. Education officers at the council also say it could have an effect on the child’s attainment, especially if they are not taught in the same way the school teaches in preparation for assessments and exams. Mrs Evison said: “We should always aim to get it right for every child. “It is apparent that such educational programmes have not been given detailed consideration within Aberdeenshire, providing head teachers with few guidelines as to how to respond to such requests. “Committee on Thursday therefore provides a welcome opportunity to discuss this. Several local authorities in Scotland currently permit the practise, subject to application, but its use is not widespread. In the Highlands, 12 children were registered as flexi-schooled in 2018. The number of home schooled children in the UK has risen by 50% in the last four years, with 48,000 currently taught at home.